TDD now has a transfer station conveniently located in town and is open to the public and contractors. 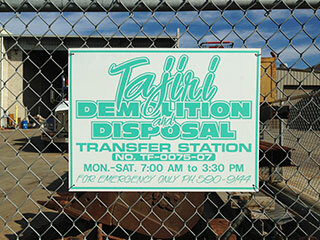 The benefits of our transfer station is not having to travel out of town to dump your debris. There is no minimum tonnage to be charged and the location is open 6 days a week for your convenience!